The I Moscow Regional Open festival-competition in xylophone and percussion instruments “DRUMSFEST” has been carried out in Vidnoe city from 26 to 28 March 2010 with the support of the Ministry of culture of the Moscow region and the Administration of Lenin Municipal area of the Moscow region. For the young percussions performers it was an unprecedented event even though it was countrywide! 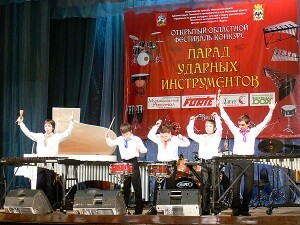 In the competition of xylophone, snare drum and drum kit more than 60 young participants from the Moscow region, Moscow, Surgut, Nizhniy Novgorod, Dzerzhinsk, Asbest, Tula, Yekaterinburg and the other cities competed. 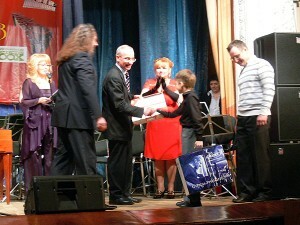 The general sponsor of the competition – the company “Muzikalniy arsenal” and the company “FORTE” – provided the prize fund, including two Grand Prix (a drum kit and a xylophone) and other valuable presents for the winners of the competitions in 3 nominations: “Solo on orchestral drums”, “Ensembles of percussions”, “Solo on a drum kit”. The members of the jury were the outstanding Russian performers: honoured artist of the Russian Federation, docent of Maimonid State Classical Academy Gennadiy Butov; honoured artist of the Russian Federation, soloist of the Bolshoy Theatre of the Russian Federation, docent of Gnesiny State Musical College Konstantin Semyonov; honoured culture worker of the Russian Federation, docent, assistant professor at Shnitke Musical Institute Ludmila Krasilnikova; honoured artist of the Russian Federation, legendary jazz-drummer Vladimir Vasilkov; cult rock-drummer Sergey Efimov; teacher at Moscow State Musical college of pop and jazz art Anatoliy Makurov. 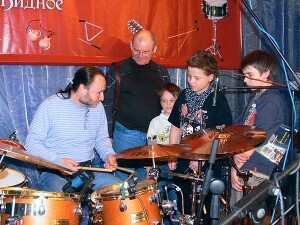 The jury members carried out the series of master-classes for the participants of the competition and their teachers. In the Program of the festival the xylophone and percussion instruments performances were carried out not only by the participants but the famous groups: Kremlyovskiye barabanshchiki (Kremlin drummers), drummers-show “Fiesta”, jazz-rock band “Marimba plus”. In the final of the festival there was a colourful performance of children’s group “Kolokolnye zvony” (Bell-ringing), which opened the holiday service in Georgiy Pobedonosets temple of Vidnoe city. 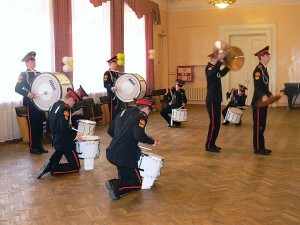 We will be sincerely happy to see you at the II Moscow Regional Open festival-competition “DRUMSFEST”, which will be carried out on 25-27 of March 2011 in Vidnoe city (the city in the Moscow region).